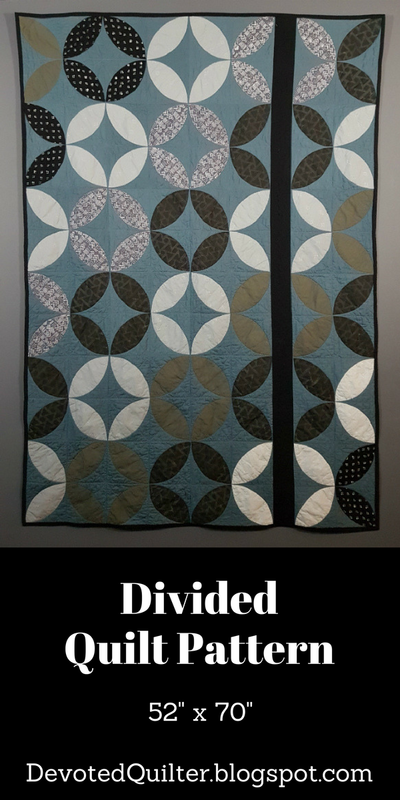 I am pleased to release my Divided quilt pattern today! 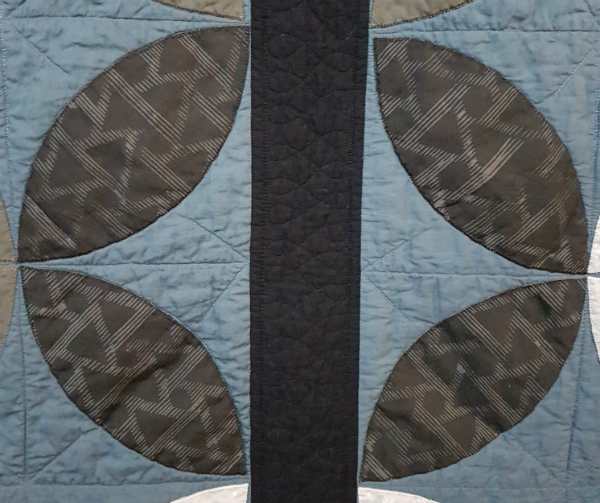 It is made with one simple, machine appliqued, orange peel block and finishes at 52" x 70", perfect for snuggling on the couch with a good book or movie. This design was inspired by the shirt a man wore to church one Sunday morning, which proves that quilting inspiration really is everywhere! I had a lot of fun making this quilt, even though I made it in only 9 days while also working full time. The power of deadlines, lol 😊 I made it with Me + You fabrics from their Indah batiks and solids and I really love the feel of the fabrics. 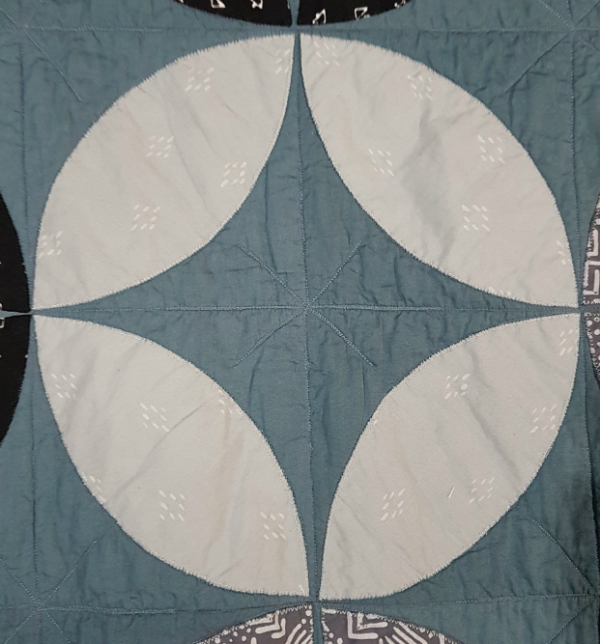 Plus, since it's lightly quilted (that deadline was looming! ), it stayed super soft and drapey. You can get your copy of Divided in my Payhip shop or my Etsy shop. Tell me, what colours would you use for the quilt? Would you go with a bright, contrasting, pop of colour for the stripe? Congratulations. I would have chosen pop of colour, but with the other colours you used, I think the black works best. Well done. Congratulations on a wonderful pattern and a beautiful finish! 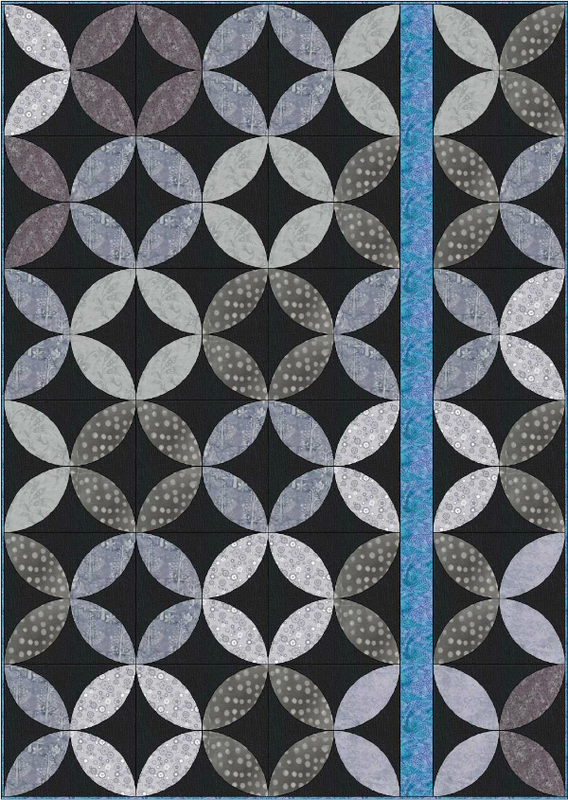 I love every version of the quilt you shared in this post. Just goes to show you how versatile this pattern really is! Congrats! This is a great design and full of color possibilities! I would for sure add a bright pop of color to that strip...maybe even give it an ombre or rainbow treatment! What a great quilt! I love your original - the backing is great with all the fabrics! The other versions look amazing too! 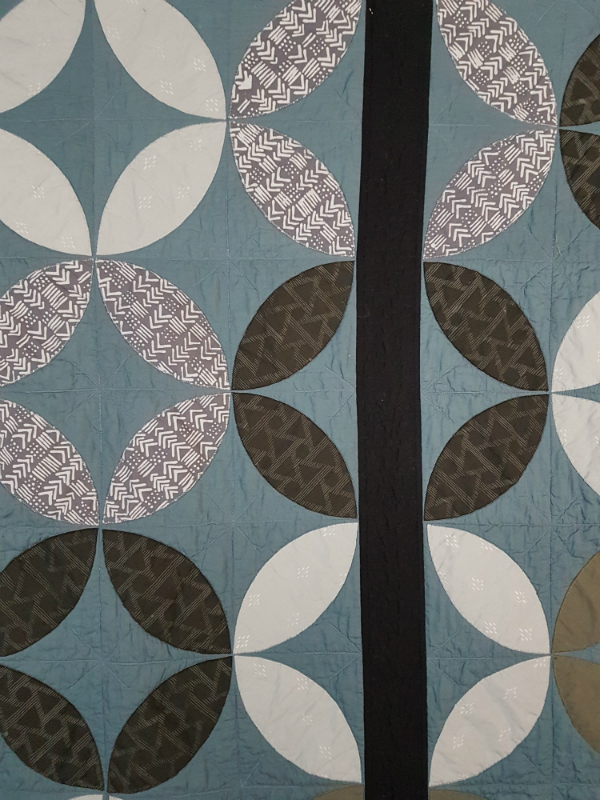 I love how the lighter batiks seem to glow in all of the quilts! Congrats on the pattern! What a lovely pattern!! I've got to say that as much as I love bold color... I have to got with the editors on this one. The classic look of the black stripe fits the pattern perfectly!